Starting a business? Being able to turn your passion to profit through entrepreneurship can be exciting, but you’ll probably have quite the to-do list before getting started. Business owners can take out loans through the Small Business Administration (SBA) to ease the financial burden of start-up costs. If you’re considering an SBA business loan, what you may not have realized is that you’ll need life insurance in order to obtain it. Why Do Lenders Require Life Insurance For SBA Loans? The SBA provides guaranteed business loans with flexible and competitive terms. While most people refer to them as SBA loans, the SBA doesn’t actually lend the funds for the loan. Rather, they work with a network of approved financial institutions (like banks) that lend the money to businesses. The SBA guarantees these loans which means they back a portion of your loan amount. This is a benefit to lenders because it means they will have less risk on their plate (should you fail to repay the loan) as a result. If you get an SBA backed loan, the lender will see it as a less risky agreement since the SBA will repay a portion of the loan amount if you were to default on payments. While the SBA provides lenders with relief by guaranteeing loans for small businesses, they also need to lower risk on their end. Under SBA SOP 50 10 5 (b), lenders must determine if the viability of the business is tied to an individual or individuals. In other words, does the direct success of the business depend on a single person or group of business partners? If you’re an entrepreneur looking to build your business from the ground up and stay actively involved, the answer will likely be yes. If this is the case, life insurance (on you) will be required in order to obtain an SBA business loan. Having this life insurance as collateral is intended to protect the lender and limit risk. A policy payout is intended to provide them with enough funds to repay the loan in the event of a borrower’s passed away before paying the loan off in full. You must obtain a life insurance policy, often term life, with a coverage amount that reflects the size and term of the business loan. Then, name your lender as the person who will receive either the entire benefit amount or a portion of the benefit amount (we’ll explain in detail below). What is a Life Insurance Collateral Assignment? A life insurance collateral assignment helps appoint a lender as a primary (but not sole) beneficiary for your policy. Instead of naming your lender as the only beneficiary for your life insurance policy, you can assign them to receive a benefit payout from your policy through a collateral assignment. That way, you can still assign someone else as the beneficiary to your policy. Why would you want to do this? By setting up a collateral assignment and naming the lender as the recipient, they will receive your life insurance payout up to the amount that will cover the outstanding loan balance. The rest of the money will go to your beneficiary. For example, let’s say a business owner takes out an SBA loan for $100,000. They then get a term life insurance policy for $100,000 and use a collateral assignment for the lender, then name a loved one as a separate beneficiary. The borrower pays off about $50,000 of the loan but then dies unexpectedly. Thanks to the collateral assignment, the lender will receive a $50,000 life insurance benefit which will cover the remaining loan balance. The named beneficiaries will receive the remaining $50,000 benefit from the $100,000 term policy. Using a collateral assignment is an important step if you’d like a beneficiary like your spouse or kids to receive a portion of the life insurance payout. Your lender will still receive the amount they need to pay off the loan but if you forego a collateral assignment, your lender could potentially get the total insurance payout regardless of how much they actually needed to settle the debt. Once your life insurance policy is approved, you can request a collateral assignment form from your insurance carrier. How Long Do You Need to Keep the Policy? Ideally, you’ll want to keep the life insurance policy in force throughout the remainder of the loan repayment term. Be sure to check with your lender if you are unsure of how long you’d need to keep your policy in force. If you stop paying your life insurance and lapse (lose coverage) while still repaying your SBA business loan, the lender could consider the loan in default and request the principal balance to be paid in full. However, you can keep your policy even after your loan is repaid. If you still have a few years left on your term policy and your loan is repaid, the life insurance will still be effective as it will insure your life and still protect your family’s financial future. Plus, it makes sense to keep the same rate for your life insurance instead of getting a new policy. Chances are, you’ll be older than you are now once your SBA business loan is paid off. As you get older, you can expect to pay more for the same amount of life insurance coverage. 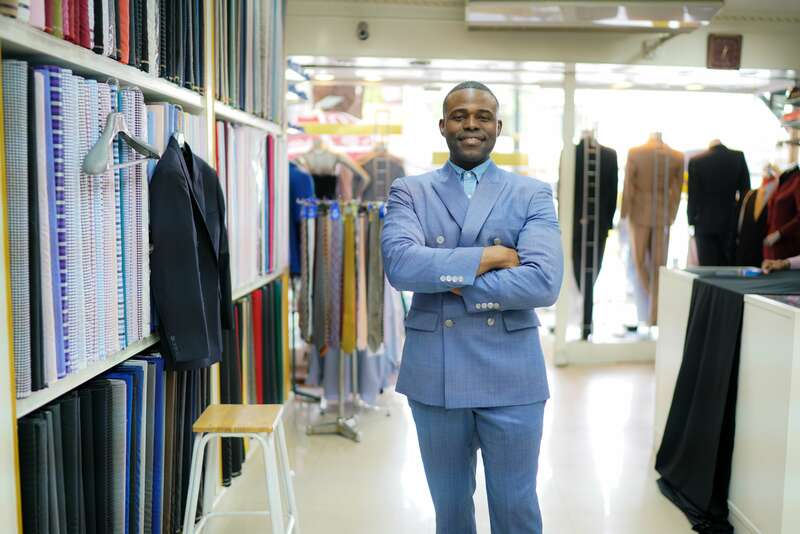 If starting your business is a life-long goal that has finally come to fruition, don’t let lack of life insurance stop you from getting the proper funding you need through the SBA. Life insurance SBA loans are common, and you can get coverage ASAP so you can start growing your business.